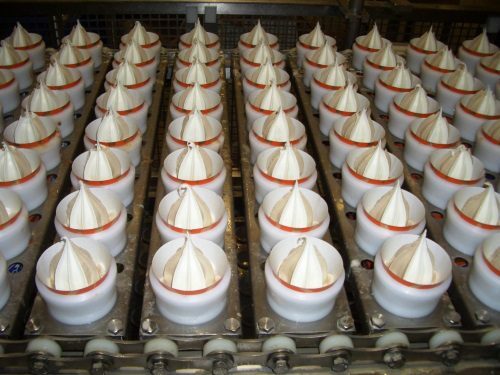 Tetra Pak buys Big Drum Engineering, a supplier of filling machines for the ice cream industry. The acquisition of will strengthen Tetra Pak’s presence in the filled ice cream segment (e.g. tubs and cones) which represent approximately half of the global packaged ice cream market. Tetra Pak already provides a full range of ice cream equipment, including raw material storage, mix preparation, continuous freezing and inclusion systems, as well as production solutions for molded and extruded ice cream products. “This acquisition means we can now provide an even more extensive range of production solutions for ice cream manufacturers and expand our collaboration with them,” said Monica Gimre, executive VP, processing systems. Big Drum, which is based in Edertal, Germany, supplies medium-to-high capacity filling machines for the global ice cream market. Following the acquisition, all Big Drum managers and employees will remain with the company at their current location.